While the workshops allow a unique opportunity for students to learn about the instruments, nothing can quite compare to the experience of hearing an entire orchestra. 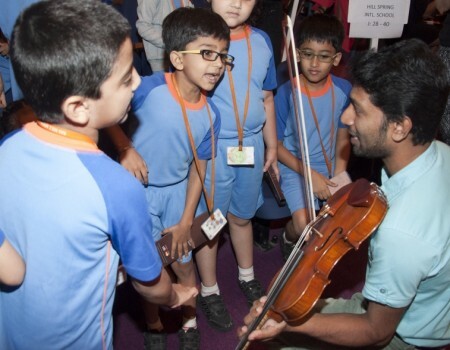 Every season, the SOI also presents concerts for school children, where a full house of youngsters can enjoy select pieces from the season’s repertoire in a specially-created programme. As with the workshops, students from both private and municipal schools are invited to participate in this activity. Put together, these activities reach thousands of young children every year. As the SOI continues to grow, expanding our activities in these areas is one of our central goals.